Thousands of children walked out of school across Australia on Friday in protest against government inaction on climate change, prompting a rebuke from a minister who said they were setting themselves up for “failure”. Earlier this year, the conservative government also weakened its commitment to the U.N. Paris climate accord. 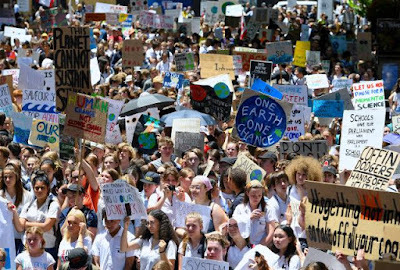 “Walking off school and protesting, you don’t learn anything from that,” Canavan said in a radio interview.